Every year the Comecer team looks forward to the Annual EANM Congress, the world-reference congress in nuclear medicine. It’s a yearly appointment that we never miss and an occasion to meet old friends, existing customers and make new connections in our industry. 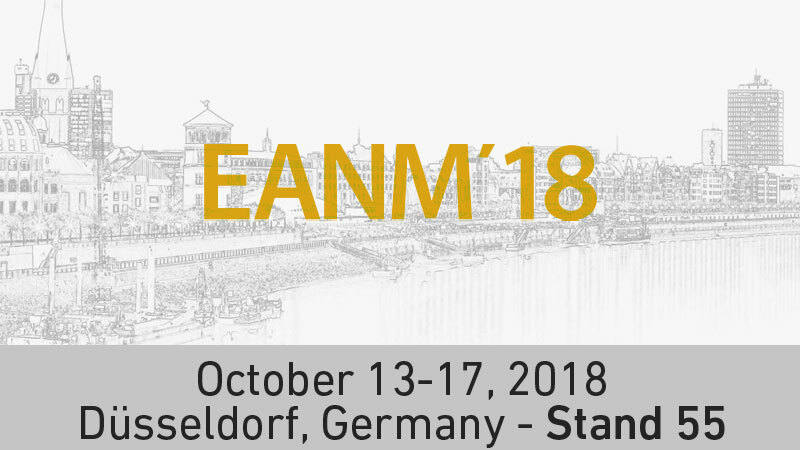 EANM’18 will take place at the CCD Center Düsseldorf, Germany, on October 13 – 17, 2018, and the EANM Entrance will be CCD Süd. You will find us exhibiting at stand 55. We have planned and designed a different stand this year. Stand 55 is designed with one key purpose: to favour conversations with you, the nuclear medicine professionals. Less equipment (though we will have some news in this space to share with visitors) and more space to sit down with you, enjoy some refreshments while discussing your challenges and show you all our solutions in new, multimedia stations. There will also be a demonstration area for our IBC Management Software, Therabed and DoseFx. We look forward to meeting you at our stand at EANM’18 in Düsseldorf.